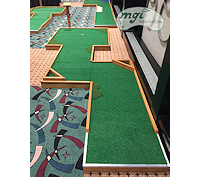 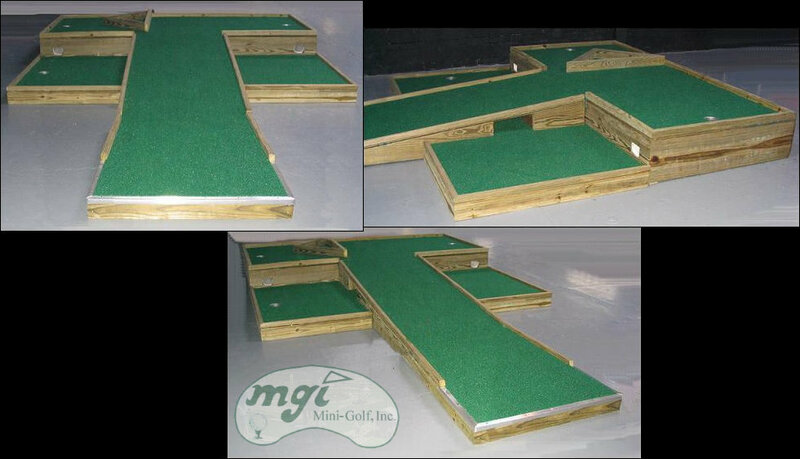 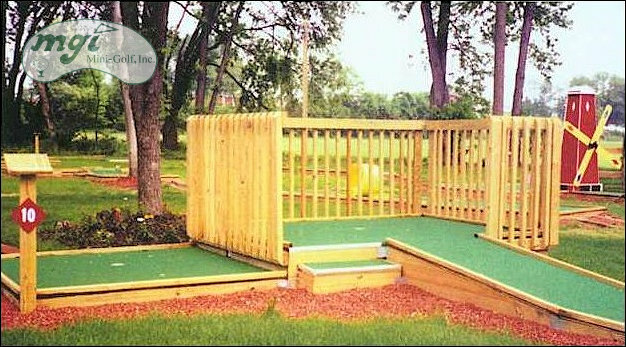 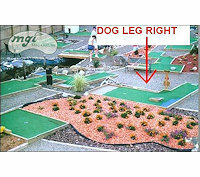 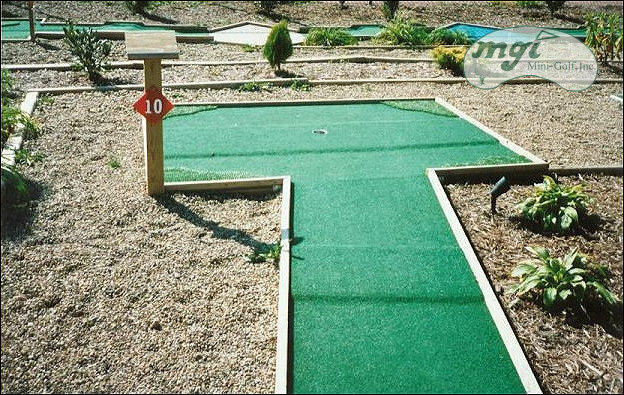 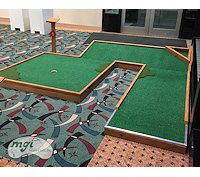 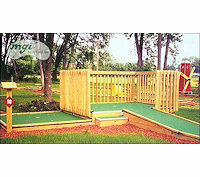 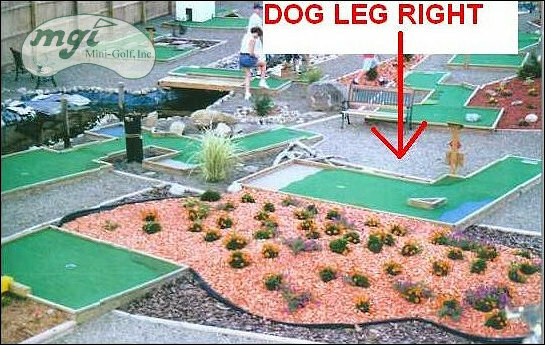 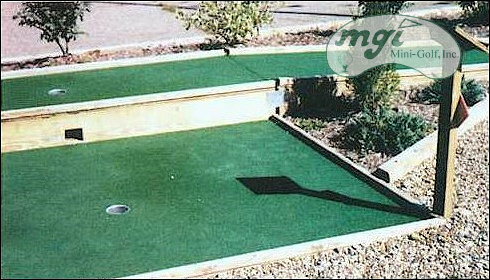 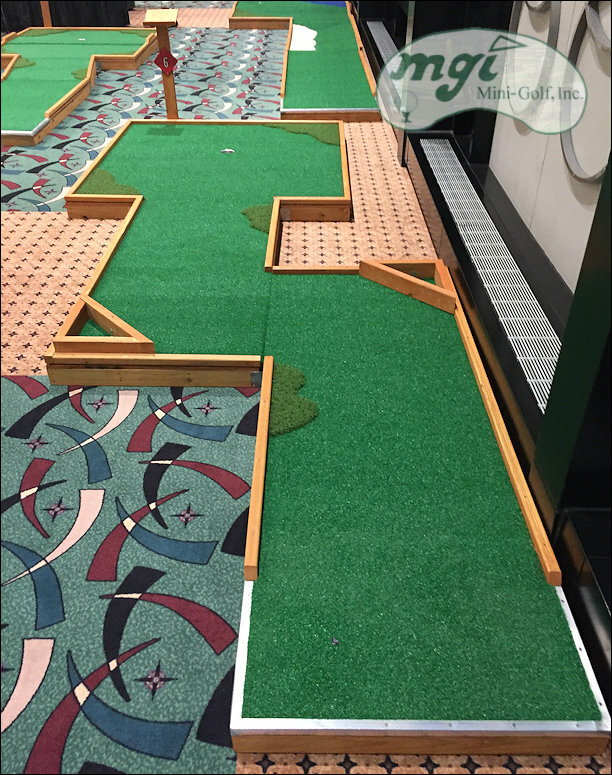 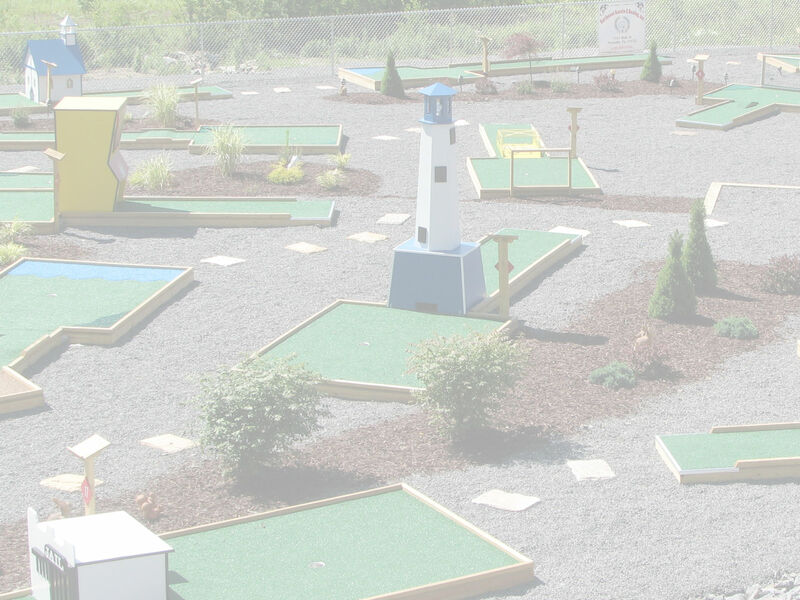 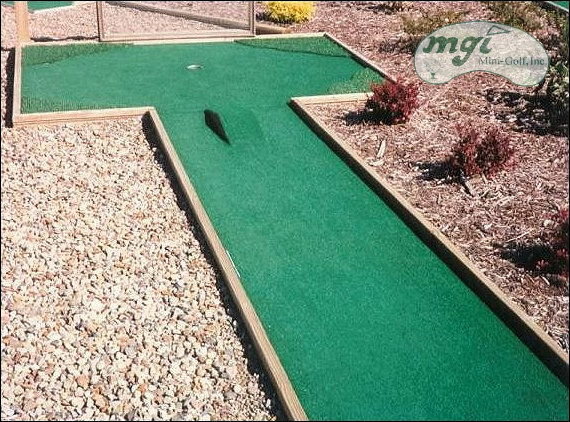 Mini-Golf, Inc. - Pro Putter Holes. 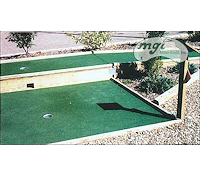 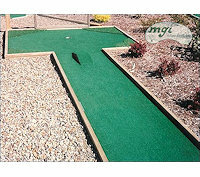 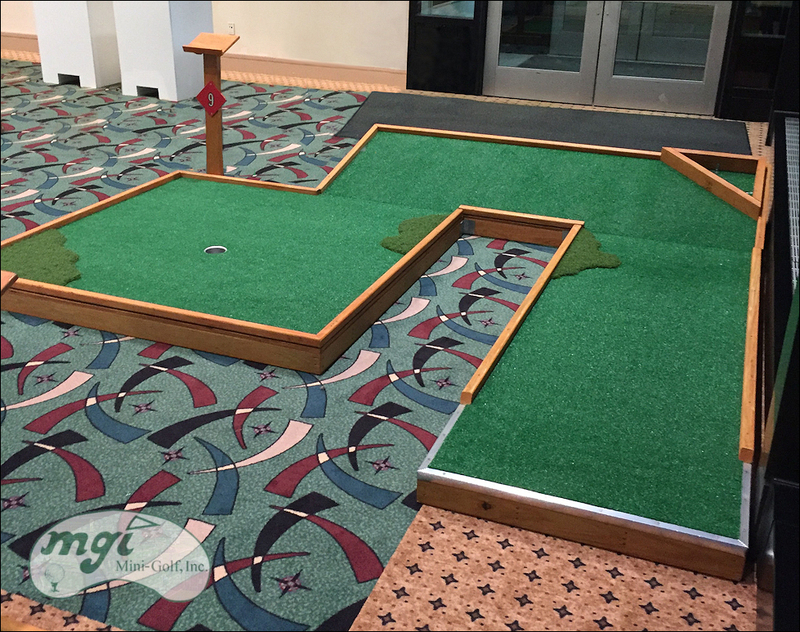 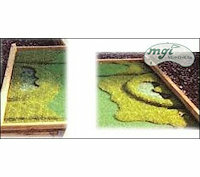 Pro Putter Holes have the realistic features of an elaborate cement course and include characteristics of regular golf. 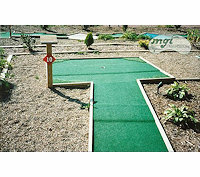 Features include: rolling hills, two-tiered greens, water hazards which are blue carpet, sand traps which are beige carpet, rough, higher roughs, dog legs, and elevated areas. 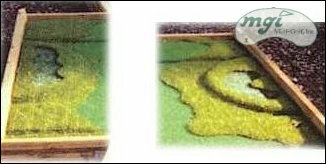 Other features of the Pro Putter Holes that make them special and unique are having to incorporate strategies, such as laying up or playing the break, to overcome these numerous hazards.